The Pismo Beach attorney accused of embezzling more than a quarter-million dollars from a deceased client’s estate entered a not guilty plea Tuesday. William Peter Terhune pleaded not guilty to charges of two counts of grand theft by embezzlement and preparing false documentary evidence. 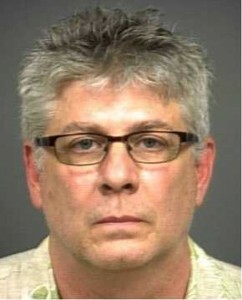 The estate lawyer was arrested July 7 while his James Way, Pismo Beach office was seized by the State Bar of California. Terhune is accused of transferring nearly $275,000 from the estate of Junko S. Hensling to his private business account. The estate’s beneficiary resides in Japan and has yet to receive any payments, according to a petition filed by the State Bar. Previously in response to a complaint filed by his former paralegal on behalf of the Japanese beneficiary, the attorney contended the funds were transferred for loans that were intended as investments for the estate, according to documents received from the State Bar. Terhune has not posted the required $1 million bail; rather he remains in custody at the San Luis Obispo County Jail awaiting a bail reduction hearing, which is scheduled for Monday. The paralegal should be applauded. Speaking of para legals. Can anyone help me with this situation. towards the end of our litigation (after 7 years) Attorney Robert Grigger Jones produced TWO letters (just last year in fact) and strangely this was the first time in 7 years we were seeing these letters. The first one is dated September 17, 2003 and was drafted by Linda Cooper. admitting the 1st Amendment is NOT in his possession. Strange because Jones insisted in his 2006 affidavit the 1st Amendment was signed in his offices on september 19, 1997. This letter has Jones asking for a copy of the 1st Amendment because he “doesn’t have a signed copy or the original trust” We are pretty confident the letter was probably drafted by Mr. Jones and more than likely recently drafted using old stationary that had Ms. cooper’s name as the Legal Assistant. I have been trying to locate Ms. Cooper All I have is an address in Playa Del rey. Does anyone know Ms. Cooper? And secondly the other letter (again showing up only a year ago) is dated September 10 1997 and this letter is supposedly drafted by Cindy S Hemming also listed as paralegal on the stationary. However no signature for Ms. Hemming It is not signed. and this is the letter that according to Jones accomapnied his famous 1st Amendment asking my father to sign it in Hawaii (contradicting the other 1st Amendment Jones told everyone was signed three days later in his office in California (that is the one with the fraud and forged signatures) If anyone knows how I can contact these women please contact me I have utilized every database possible and the Cindy Hemming one I can’t find.